Under construction! 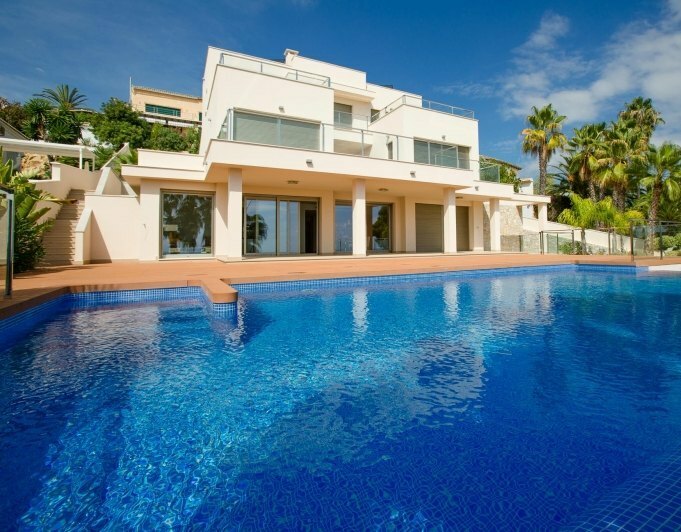 Modern luxury 4 bedroom villa for sale with sea views in El Tesoro, Camarrocha de Moraira on the Costa Blanca in Alicante, in a quiet environment with excellent sea views and a few kilometers from important cities such as Calpe, Dénia or Benidorm. the villa is built on a plot of 801 m2 inclined light with 287m2 built. in two floors plus basement.The ground floor of 137,91 m2 has 4 bedrooms (1 bedroom en suite with dressing room and bathroom, 1 bedroom en suite with bathroom and 2 en suite bedrooms that share a bathroom). Also on the same floor there is a covered terrace (15,19m2) and an open terrace (30,10m2).The first floor of 84.88 m2 has a living room with open and equipped kitchen, a toilet and a large covered terrace (14.35 m2) and an open terrace (48.50 m2).The 64.31m2 basement includes storage, laundry and a toilet. 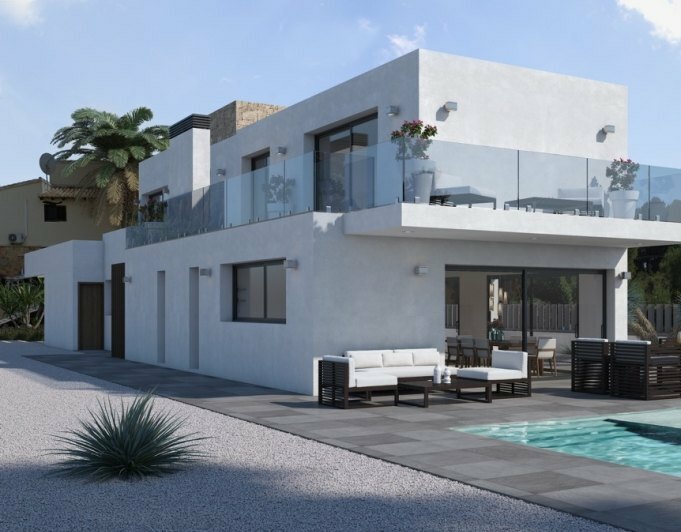 It will also be possible, at the customer's request, to make an extension of more than 120m2 for various uses (gym, cinema, bedrooms ...).In total there are 4 bedrooms with 3 bathrooms and 2 toilets.The location is ideal, about 700 m from the small shopping center of Tabaira, 1.3 km from Carrefour and about 2.5 3 km from Moraira and its beaches. Moraira's most modern urbanization includes underground telephone installation, central gas, lighting, mouths for surface hydrators and, of course, sewage, underground electrification and water supply.Moraira between Benissa and Javea, is a small fishing village and is located north of the Costa Blanca. Moraira has not forgotten its roots, although has grown in recent years, becoming one of the most popular destinations on the Costa Blanca is not affected by highrise buildings.Moraira is one of the most exclusive and pleasant places to buy your home on the Costa Blanca.It has all the charm of a fishing village, nestled between mountains and vineyards.The crystalline waters of the beaches and coves of Moraira are of fine sand and rock, where swimming is safe and pleasant, you can practice diving, fishing, paddle surfing, sailing, at El Portet beach, De L'Ampolla beach, Les Platgetes, Cala Cap Blanc, Cala Andragó, Cala Portitxol, Cala LLebeig. Moraira lives involved all year round with its sea.